The George A. and Margaret Mee Charitable Foundation recently made a substantial donation to the Cameron County Food Pantry. 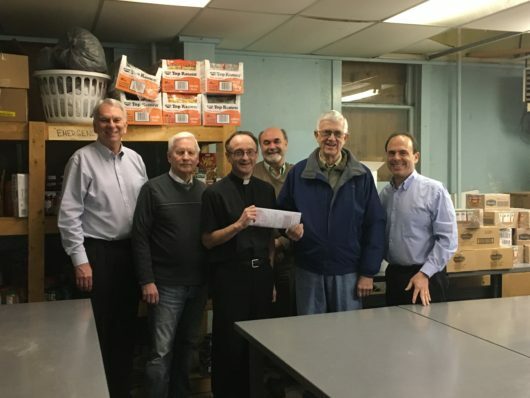 Shown at the check presentation are ( L to R ) Dave Greene, Northern Tier Community Action Executive Director; David E. Guloien, Mee Foundation Director; Fr. Paul Siebert, Cameron County Food Pantry Director; Randy Metcalf, Northern Tier Community Action Deputy Director; John T. Rogers, Mee Foundation President/ Director; and Dave Malize, Northern Tier Community Action Food and Nutrition Coordinator.